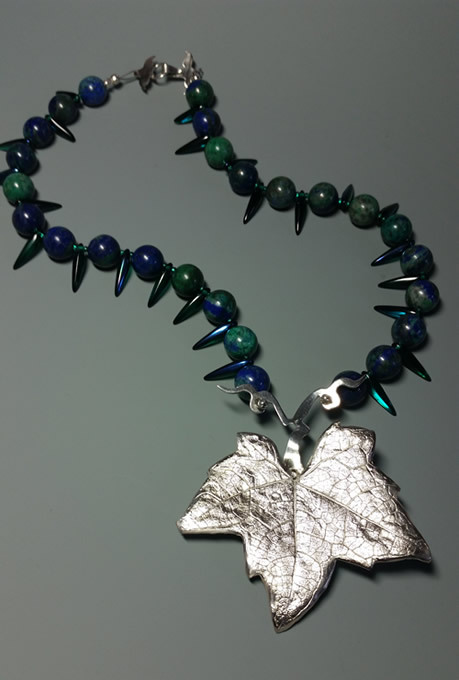 Description: Large pure silver leaf on a necklace made of azurite beads. These blue and green speckled round beads are accented by attractive green glass beads that have a contrasting linear shape. 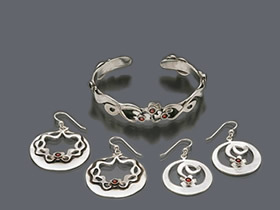 Natural and delightful accent to casual or dressy clothing.